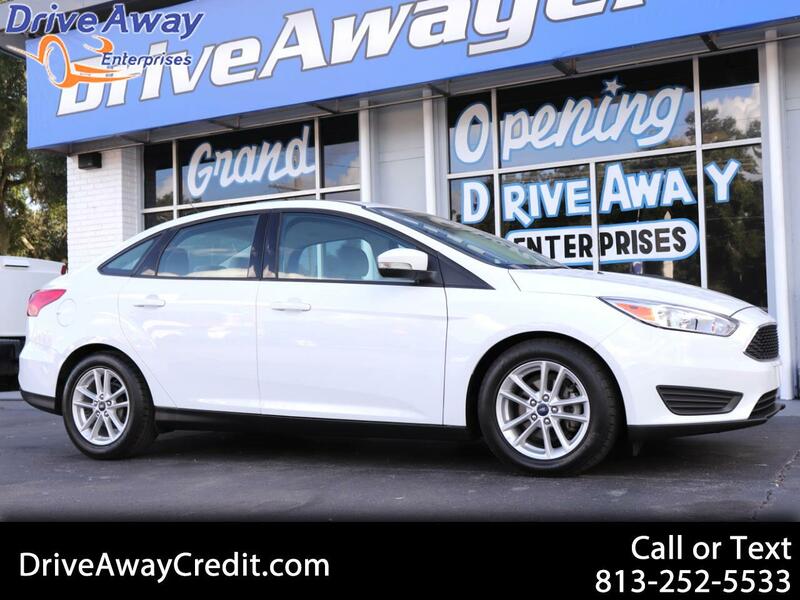 Brought to you in stunning White, our 2016 Ford Focus SE Sedan is a spectacular choice for your transportation needs! Powered by a 2.0 Liter 4 Cylinder offering a spirited 160hp while perfectly paired with a responsive 6 Speed Automatic transmission. With this Front Wheel Drive, score near 36mpg and enjoy a balanced ride with composed handling. Radiating premium good looks inside and out, our Focus SE Sedan exudes modern sophistication with alluring wheels, automatic headlights, and body-color mirrors. The SE cabin greets you with a trip computer, power accessories, a rearview camera, sunroof, a front center storage console and plenty of head and leg room. You'll also appreciate MyKey and the SYNC voice-activated phone and audio player interface with Bluetooth, a six-speaker sound system, CD and auxiliary audio jack. The SE sedan has plenty of cargo space in the trunk to keep your active lifestyle on the go with you!